Mew. Mew. Mew mew mew. Meeeeeeeeew. Concentrating on my Acholi language lesson is becoming increasingly difficult. How long can I ignore the pleas of these tiny, doddling, clumsy-footed things? Where did they come from? When will their mother return? WILL their mother return? In the afternoon, we all sat shelling ground-nuts outside my home. Neighbors asked passers by, have you seen the mother cat? Did you see which child brought them here? We put the kittens in the hedge, where one neighbor thought they were from. Dusk came. Still no mother. Still crying. Wailing, to be more accurate. My internal dilemma grew by the minute- the time for a decision was drawing near. They are three weeks old, so by the time I leave for Kampala to join Nick in a month they will be fully weaned, ready for the new owners I’m currently locating. Pet cats are very popular, so it won’t be hard. In the mean time, they keep me company at night. They are also quite a talking point. This entry was posted in Frivolity, Nature. Bookmark the permalink. Nice Tessa. Will be hard to leave them, but I am sure they will be good company. Hope no allergic reactions. My girls want to know if you have your correctly named chickens yet? No chickens yet I’m afraid, waiting till we are somewhere more permanent! Be assured, said chickens will be properly named. Kittens are boys so it didn’t seem quite appropriate..
Could be the start of something. Then there was the small goat, then the small piglet, then…. You may need a larger property – oh – and a small dog to round them up. Why isn’t it appropriate to name boys? Like what you are doing. Sorry but no space for chickens yet (we’re only renting our current little bungalow). We will never forget KK and Treeny though as the names, its just a matter of time. Thanks Ray 🙂 As much as a piglet, a goat, a chicken all sound fantastic I fear Nick will put his foot down. Re naming boys, I promised a friends daughters I’d name my first chickens after them. 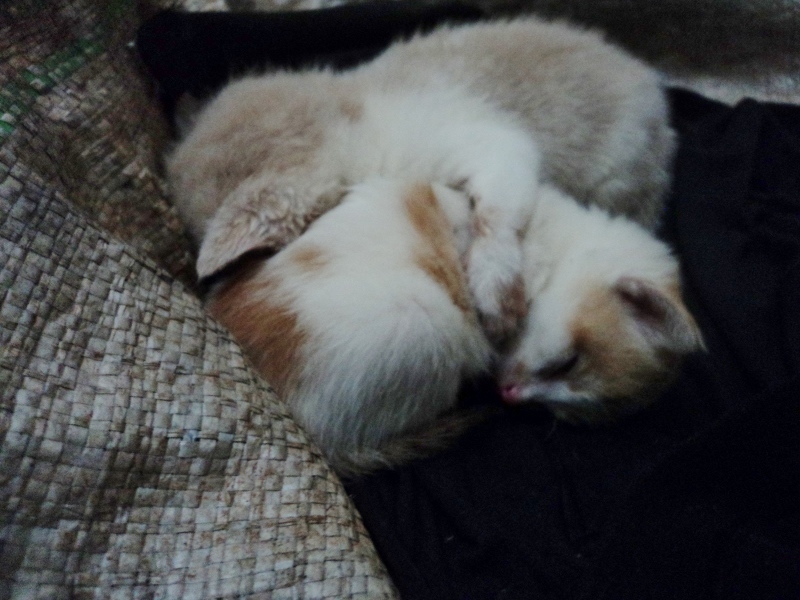 The kittens could have also been named in their honor, but giving boy kittens girls names would have confused people!